This past weekend, my husband and I headed out to a couple of holiday parties. I wanted to be festive so I threw on some red lipstick and my vintage collar and called it a night. Also of note, I am making great use of my Gina Made It hair bow (seen here and here) this holiday season. I am loving how versatile and chic it can be. 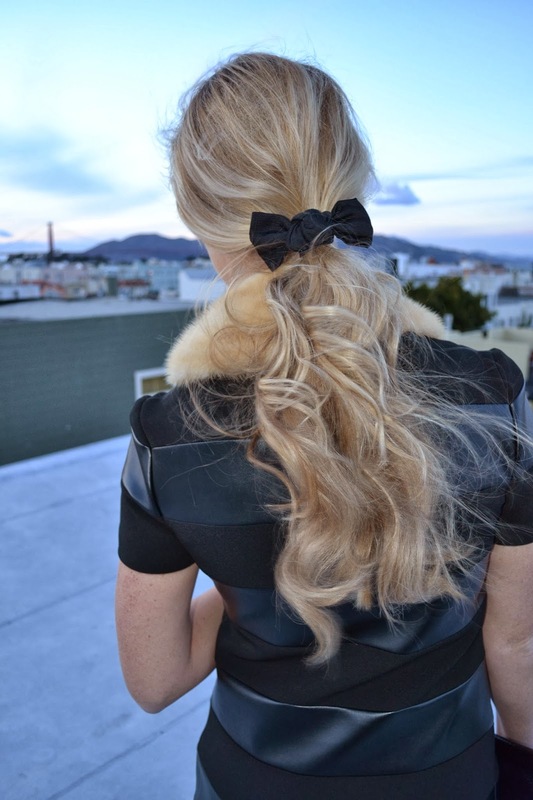 What a pretty pony–perfect holiday hair!